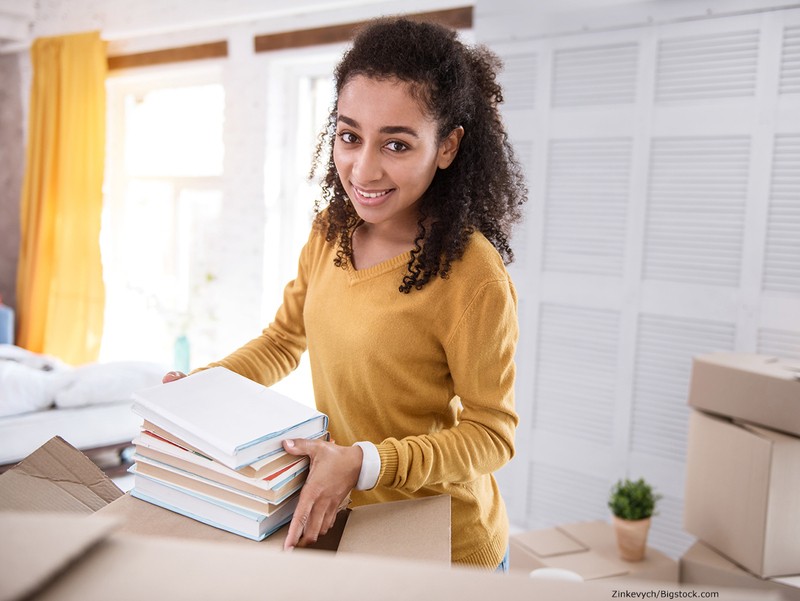 If you have a college student in your household who is returning to school this month, they're probably leaving behind more than their fair share of clutter. Though they've taken carloads of essential supplies to their dorm rooms or apartments, they've probably left their rooms filled with items that they don't want to part with but don't necessarily have a good place to store. Luckily, self storage in Joplin, Pittsburg, and beyond from Countryside Self Storage may just be the answer! As kids grow up and leave the nest, it's a perfect time to start reclaiming rooms and organizing your home. College years are a good transitionary period for this, since kids are moved out but aren't totally out on their own just yet. They're likely to come back often, and self storage in Pittsburg or Joplin can ensure that their stuff is still easy to access, even when it's not cluttering up their old bedroom. Clothing items from yesteryear, whether it's their favorite hat from high school, their lucky sneakers, or anything else they used to wear that doesn't fit anymore or that they haven't put on in ages. Old textbooks, notebooks, and office supplies. Board games that require four or more players, and you don't have four people living at home anymore. Books, DVDs, and other media that you might want to keep but don't watch or read very often. Musical instruments and sports equipment from all those after-school activities. Sentimental items such as old awards, trophies, honor roll certificates, report cards, and anything that might be a keepsake for you or your college student. You probably don't want to throw these things away, but there's also no reason to turn your student's old bedroom into a shrine to days gone by. Make a "memory box" to keep treasured belongings safe and sound. You can take them out later or pass them on to your kids when they start a family of their own. Whatever your college student leaves behind—or whatever else you may need to get out of the way—there's a home for it in self storage from Countryside, not to mention all the moving and packing supplies in Joplin or Pittsburg that your college-bound student may need. Need to declutter your home and simplify your life? You can find the perfect self-storage solution at Countryside Self Storage in Joplin, Pittsburg, and Frontenac!